Overall Equipment Effectiveness (OEE) plays a key role in improving manufacturing efficiency. OEE is a metric that helps you identify the percentage of time that is truly productive in your manufacturing process. An OEE calculation helps pinpoint waste generated by the 6 Big Losses - trouble spots that undermine the goal of lean manufacturing. The standard formula is OEE = %A x %T x %Q. The %A (Availability) is the ratio of time the equipment was available for production to the scheduled operating time. %T (Throughput) is the ratio of the actual output to the total possible output while equipment is running. And %Q (Quality) refers to the ratio of good output to total output. The second method, called the Throughput Ratio method, is handy for assessing an overall process or unique production line. That formula is OEE = (AT)/(TPR x SOT). AT (Actual Throughput) is the amount of good product produced and TPR (Theoretical Processing Rate) is the processing rate of the system's bottleneck under ideal conditions. SOT (Scheduled Operating Time) is the amount of time the system is not scheduled to be idle and includes production and maintenance. Let’s say an ice cube tray manufacturing plant adopts the Japanese practice of Kaizen - a lean philosophy of continuous improvement. Once Kaizen is fully embraced, every employee becomes motivated to evaluate the steps in their job function to look for ways to improve efficiency. Employees noticed that for every 1,000 ice cube trays produced on the manufacturing line, there was a batch of 75-95 ice cube trays that end up being molded incorrectly. Before Kaizen was implemented, employees would have simply counted those ice cube trays as defective, assuming it was a usual margin of error. Under Kaizen, the employees are focused on looking for ways to continually improve the process. They would use an OEE calculation to go back to assess each step in the ice cube tray manufacturing process to determine where improvements could be made. In this example, a timing issue was identified in one step of the process where a machine would reset for an extra three minutes while ice cube trays tires continued to move through the line. The result? Every 90 minutes, a batch was molded incorrectly. By using an OEE calculation, the company decided to slow the manufacturing line for those 3 minutes. This adjustment increased the quality rate, reducing waste. While there is no universally agreed upon ideal OEE number target, a score of 85, using the standard formula above, indicates superior performance. 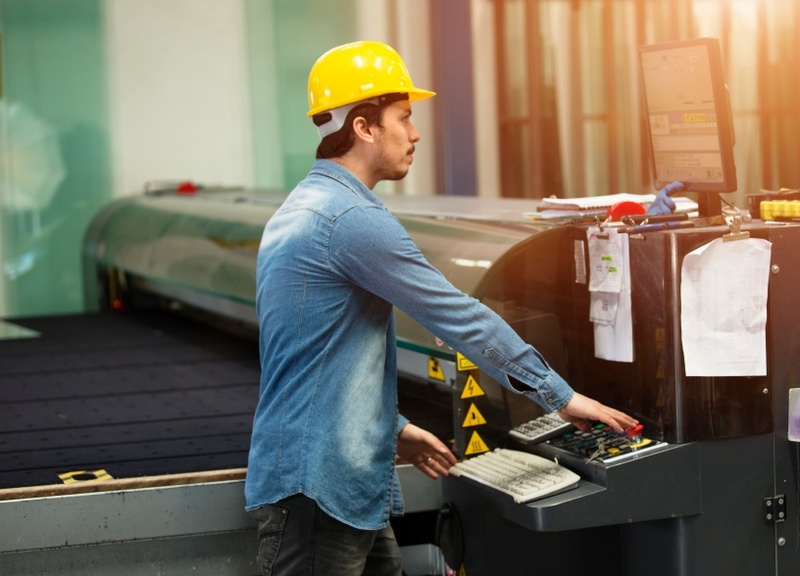 The key is not to get too wrapped up in the actual number as much as constantly being on the lookout for ways to improve your manufacturing operations. Do that and your OEE - and your bottom line - take care of themselves. Ready to find out how machine monitoring can improve your OEE?